I don't see him, but I know he's there! 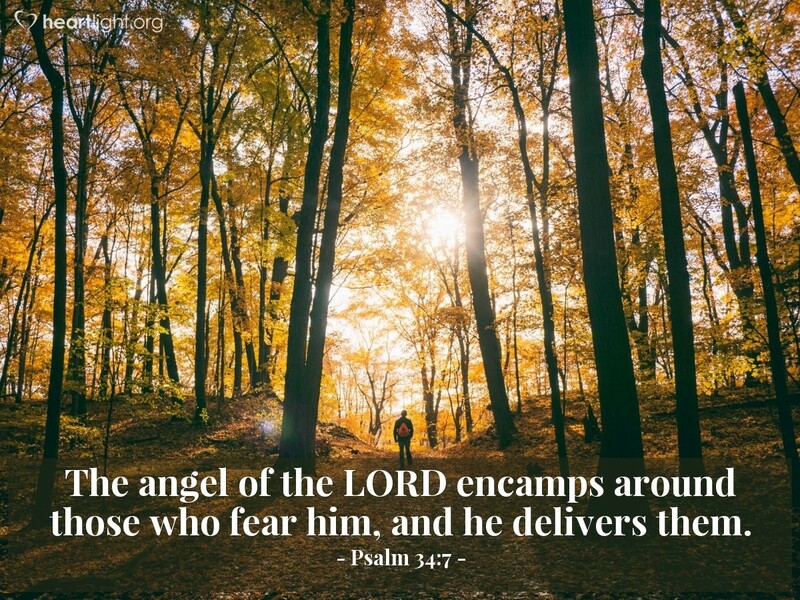 The same angel of the Lord who destroyed Israel's enemies is now fighting to win the spiritual battle that rages around you and me. Give me faith, dear Father, to believe that your heavenly messengers are around me to deliver me to you with glory and great joy. Thank you! In Jesus name. Amen.